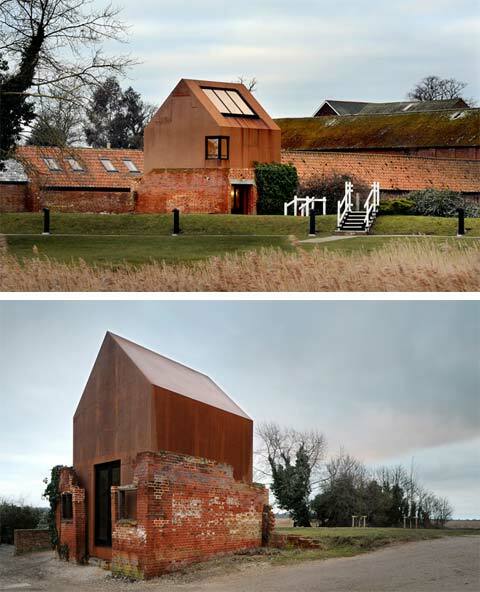 This unique small outbuilding serves as an extension of the campus for Aldeburgh Music in Suffolk. 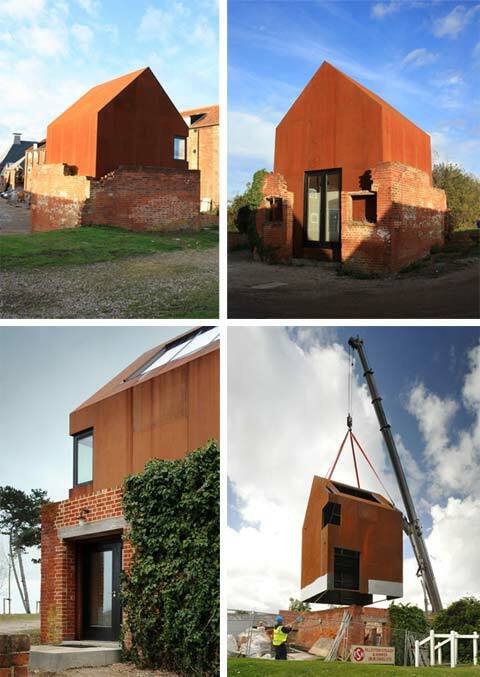 It combines old and new, modern and traditional in the most fascinating way – a Corten steel structure was prefabricated and craned into position on top of an existing ruin. 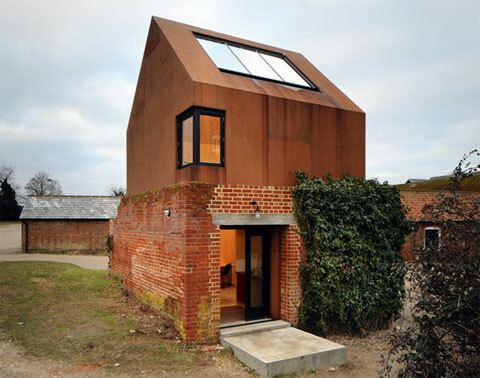 The new prefab studio seems to be growing out of the original brickwork, soon to be covered by natural vegetation. 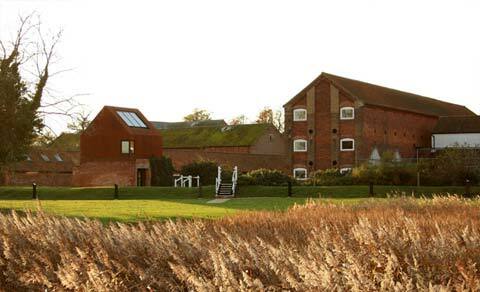 The space is utilized for several purposes: a work space for artists in residence, a rehearsal or performance space for musicians, a temporary exhibition space and meeting area for staff members. 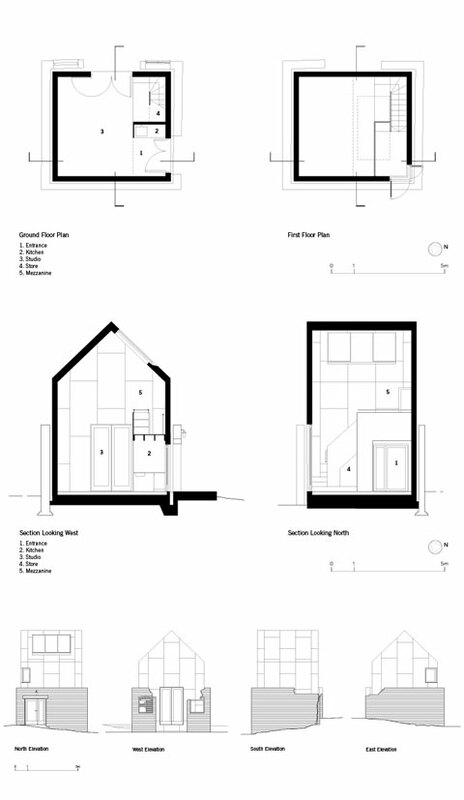 It includes a tiny kitchen by the entrance, an open plan studio space, and a mezzanine. 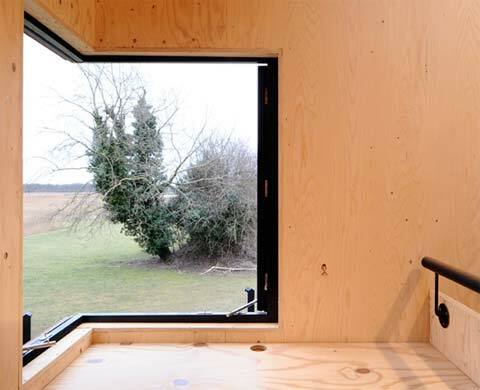 Light streams in from a large roof window and a corner window, which provides long views over the marshes towards the sea. 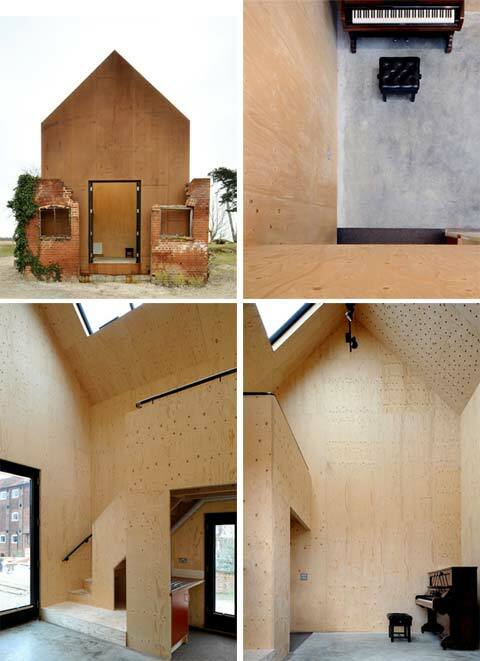 Inside, walls and ceiling are lined with spruce plywood to create a timber ‘box’ within the Corten shell. 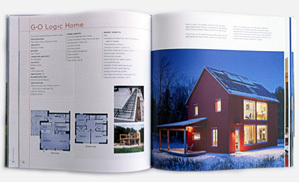 Construction cost is approx. £155,000.